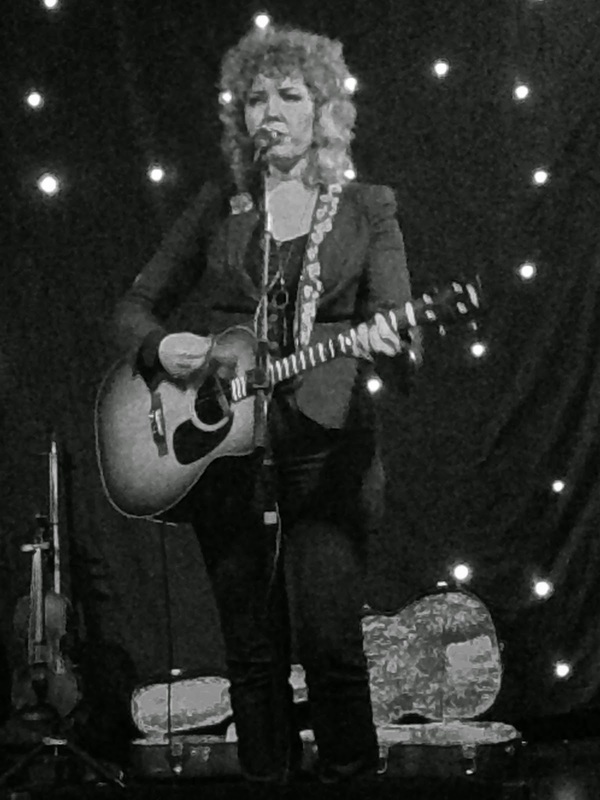 Like so many of their UK audience, The Mastersons were initially exposed to me as integral and up to date members of Steve Earle’s backing band, The Dukes. This was back on Steve’s 2011 tour and since then they have gone from strength to strength as a recording duo in their own right. Of course any new Americana band trying to establish their self in Britain requires a certain amount of stamina and the setting of realistic goals. This latest batch of dates sees the duo, comprising of Chris Masterson and Eleanor Whitmore, booked by the usual array of promoters including for a sole Midlands gig, Cosmic American. 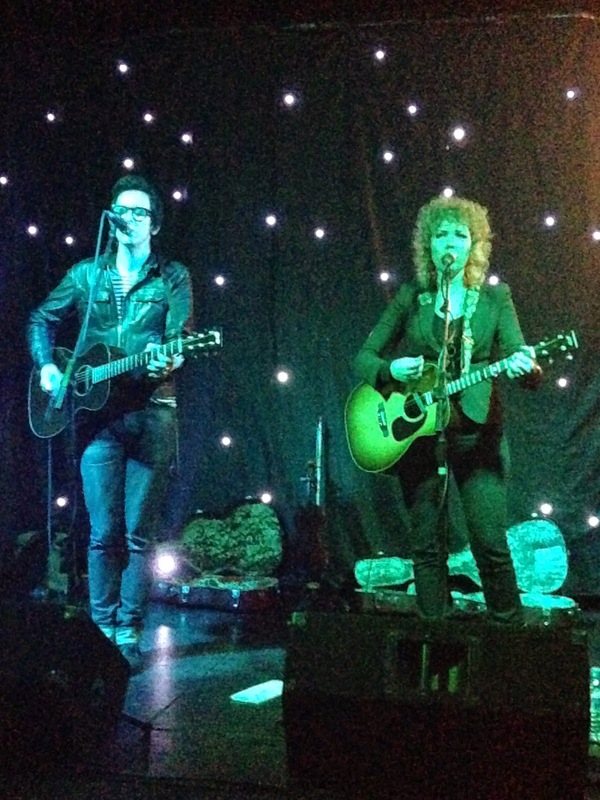 Touring in support of the latest album, GOOD LUCK CHARM, The Mastersons made their Birmingham debut and duly showed why they are held in esteem by many industry figures in the US. The good news is that in the words of Justin Currie, tonight’s turnout exceeded the ‘gig’ threshold as Chris injected a little humour into a set packed with original material and executed with extreme finesse. Harmonies and solos decorated the songs of which all but one can be found on their two studio releases to date. The sound heralded a crossroads style where country, rock and folk meet with it developing into a two pronged feel depending on whether Eleanor treated us to guitar or fiddle. The former had a reassuring solidity to it as opposed to the more explosive nature of the fiddle. Either style reflected well on a set of numbers displaying an ever increasing sophistication in the song writing which has evolved as a partnership in tandem with their own personal status as husband and wife. A couple of references were made to another US songwriter in Steve Poltz including a co-written number ‘Highway 1’ which came over as one of the strongest songs on the evening. This was the solitary track not to appear on the current album or 2012’s release BIRDS FLY SOUTH. From that previous record, the title track excelled and metaphorically covered their own migration from Brooklyn to Austin which has suited their style. Also as both Chris and Eleanor are Texans, this was essentially a homecoming and both had significant music careers in the state prior to meeting. The evening began with a thirty minute set by veteran northern songwriter Paul Handyside who duly entertained those present with a stock of standard songs brought to life by the slide guitar of his sidekick Rob Tickell. This paved the way for The Mastersons to fill their own seventy minute slot with the entirety of GOOD LUCK CHARM including an encore finale of ‘Time is Tender’ where orchestrated audience participation accompanied Chris and Eleanor finishing off mic. Other appealing tracks from this new record, which proved a popular purchase at the end of the evening, included ‘Cautionary Tale’ and ‘Good Luck Charm’ with the latter being inspired by a populist rally in their hometown of Austin. In full flow, The Mastersons are an accomplished duo subjecting their audience to an impressive sound powered by the roots of music and freshened up with a contemporary fragrance. By excelling in the holy trinity of vocals, sound and song, the creative force of Chris Masterson and Eleanor Whitmore are much more than a blessing of Steve Earle and gave plenty of evidence this evening to form a long, successful and influential career.